FreeDerm-HC claims to be able to give you acne-clearing results that are nothing short of miraculous. Most acne treatments make similar claims, and, like FreeDerm-HC, they play on peoples’ insecurity about their skin appearance and texture in order to get more business. While we admit that those who suffer from acne have every right to purchase a product they think will help them, they should not buy it solely on groundless claims. Before we can recommend buying FreeDerm-HC, we need to take a closer look at the ingredients and consumer reviews. 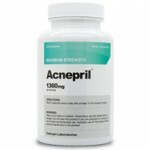 The internet yields little in the way of information about this so called miracle cure. In fact, outside of secondary sites that peddle this product, it is very difficult to find any objective information that really explores the benefits of this product. The main site that sells Freederm HC has an impressive list of testimonials to help sell this product, but little else to recommend it. 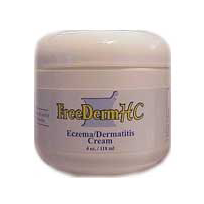 Freederm HC is a water based cream so it requires several applications throughout the day. Additional ingredients include Cetyl Alcohol, Glyceryl Stearate, PEG-75 Stearate, Ceteth-20, Steareth-20, Caprylic/Capric Triglycerides, Cyclomethicone, Sodium Hyaluronate, Caprylyl Glycol & Phenoxyethanol & Hexylene glycol, Galactoarabinan, and Triethanolamine. 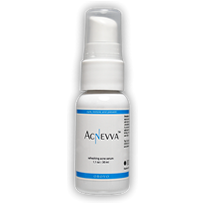 Customer reviews report people have been experiencing burning sensations, rashes, or further skin irritation. Freederm HC says you can use it for infants and adults, but we would suggest testing the product on small areas before moisturizing every outbreak. We wouldn’t recommending using FreeDerm-HC because of the lack of research associated with the ingredients and because of the negative consumer reviews. 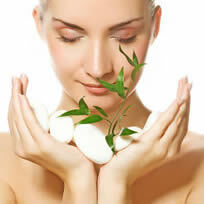 There are much safer, more effective ingredients to treating your acne.